I know this is a long process but I have done the bread this way as I like fresh bread for lunch. Sourdough bread is artisan baking so time and love are needed. 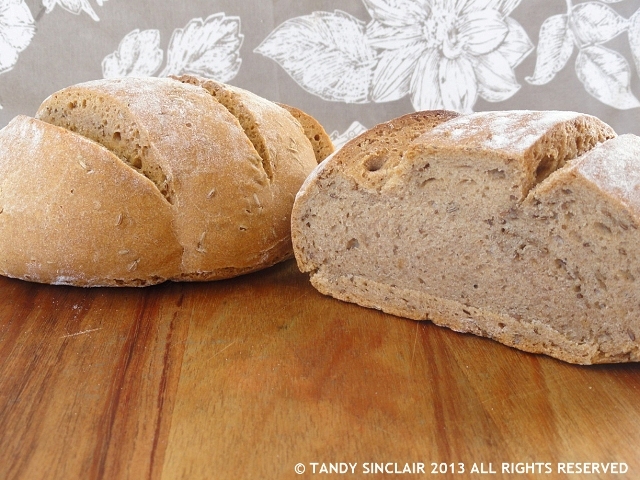 Absolutely gorgeous looking loaves, Tandy. I also baked today, but you’ve clearly mastered the slash much better than me! Lucky you, I made a rice bread 3 times and it did not grow well, but it was very tasty. I am going to dry some and then I can post it to you! I haven’t made sourdough before. This sounds good! it is quite a process, but so worth it! Thank you Lisa, it is a hearty loaf! I really need to attempt sourdough one of these days! Great loaves! You will love the process! Terrific looking loaf of bread. Effort is the key word here! You are doing so well with your bread baking.